A dedicated para-military force for the Election Commission is one of the suggestions made by its counsel at the day-long conference convened by the E.C. on December 3 in New Delhi. Senior advocate and former Advocate General of Punjab and Haryana, M.L.Sarin, suggested the creation of such a force, for the exclusive purposes of the Election Commission, to ensure level playing field at the time of elections. Senior Advocate of the Supreme Court, and former Attorney General of India, Ashok Desai, asked the E.C. to prepare itself to bear the additional responsibility of deciding whether under Sechedule 10 of the Constitution, a Member of Parliament or state assembly suffered disqualification on the ground of defection. He said that even the Law Commission has endorsed this view, as many cases in the Courts have exposed the fact that the Speakers are not independent. He complimented the E.C. for its gold standard of political neutrality. The E.C.’s counsel in Jharkhand High Court expressed the view that the Tenth Schedule gave unbridled authority to the Speaker. Referring to the case of six MLAs in Jharkhand, who defected to the BJP, and became Ministers after the last elections, the counsel said the matter has been pending with the Speaker because his office claimed 280 witnesses have to be examined. He also proposed that a time limit of one year has to be given to the Speaker to decide a disqualification on the ground of defection. Asking whether the ECI is incapacitated in such cases, he suggested that a one-year time limit be imposed on the Speaker to decide cases under the Tenth Schedule. 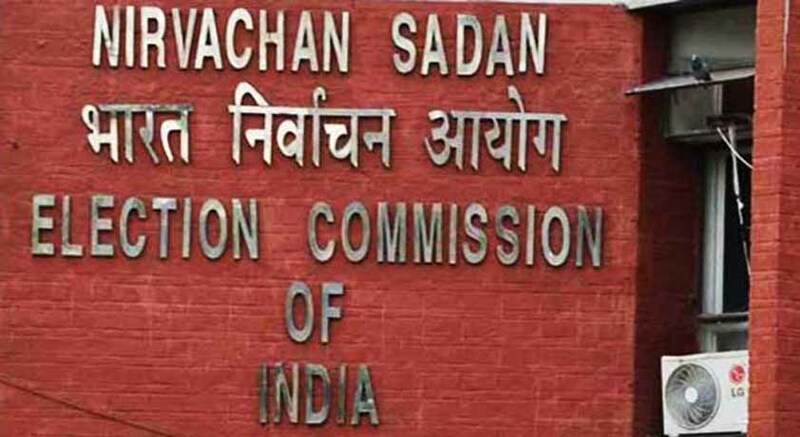 Advisor to the Election Commission, S.K.Mehndiratta, whom many admired as the ‘Walking-Talking Enclopedia of Election Law’, observed that all the Chief Election Commissioners were fiercely independent. The Chief Election Commissioner, Dr.Nasim Zaidi, disclosed that the Commission has on November 18, made a number of suggestions to the Government ensure franchise for the migrant workers, and others who are unable to vote on the day of election, because they are travelling. Niranjan Rajagopal, practicing at Madras High Court, spoke about issues in litigation over the registration of political parties named after deceased political leaders. In a recent case, he said, the Madras High Court has reserved its verdict in a dispute involving the application for registration of a political party named after the former President, late A.P.J.Abdul Kalam, following objections from his family members against use of his name for political purposes. He said the issue is complicated because another political party named after the former chief minister of Tamil Nadu, has recognition by the Election Commission, and is presently the ruling party in the State. Rajesh Lakhani, the Chief Electoral Officer, Tamil Nadu, regretted that the E.C. was helpless, when the political parties fielded the same candidates, who were alleged to have distributed cash among voters in the Aravakurichi and Thanjavur assembly constituencies, where the E.C. had deferred elections during the general elections. The elections in these two constituencies were rescheduled in October by the E.C. The E.C., therefore, has sought enhancement of its powers to curb the role of money power in elections.